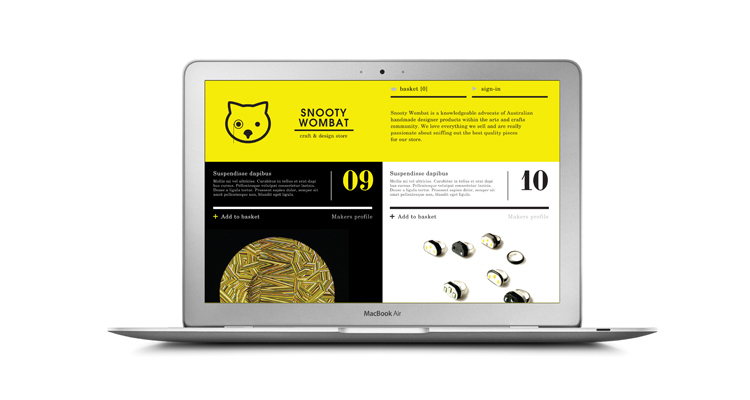 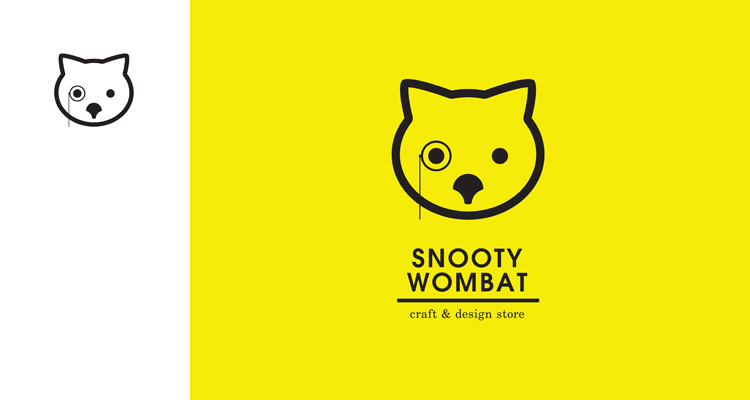 Snooty Wombat is an online retail shop stocking Australian made arts and crafts. 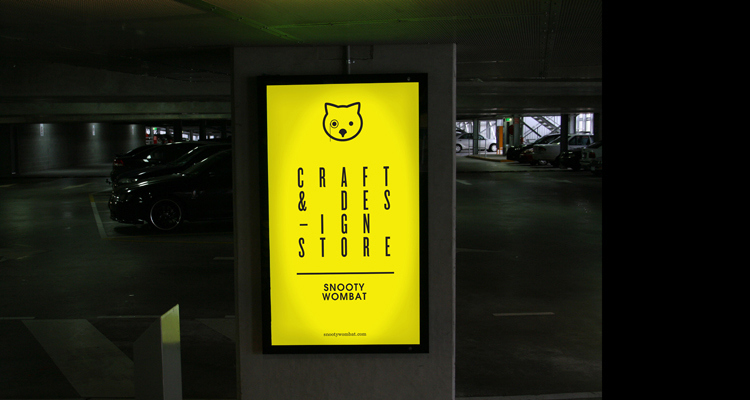 They stock a wide range of products, from jewellery and accessories, through to decorative stuff for the home. 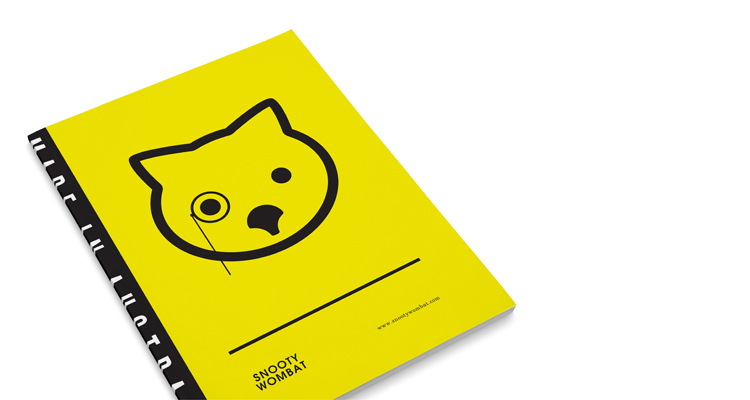 We developed a brand that hopefully connects on both an emotional and rational level. 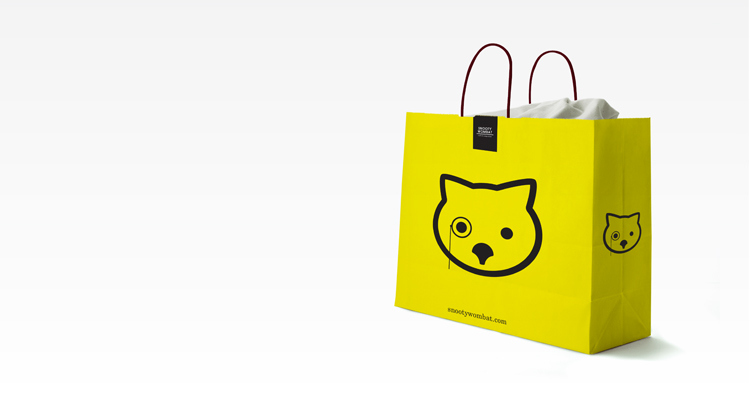 The cute little monocle wearing wombat acts as a friendly and memorable character. 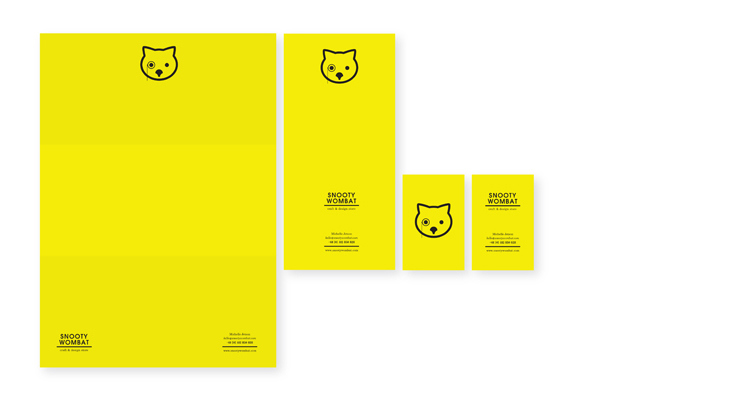 The overall look and feel is bold, yet simple enough to allow the individual products to stand out and not be over shadowed.